Expert Architecture and Design. Customized. 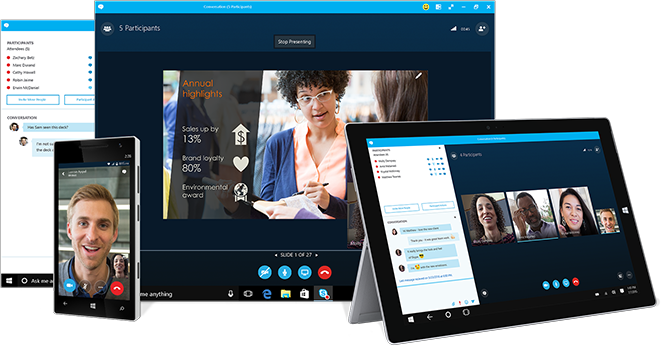 Are you planning on rolling out Skype for Business? Imaginet's Microsoft® Skype for Business™ Certified Professionals will facilitate an Architecture and Design Workshop with key business and IT stakeholders to provide a custom designed solution. If you’re not sure about all that Skype has to offer, you need a plan to get it done right! Our Microsoft® Skype for Business™ Certified Professionals will facilitate the Architecture and Design Workshops with key business and IT stakeholders to provide a custom designed SfB architecture to ensure your SfB solution meets all business and technical requirements. Experience the Imaginet Difference. Now. When planning the success of your next Skype for Business initiative or project, you never want to do it alone. This is where the Imaginet's Skype for Business experts come in. Imaginet has one of the strongest Skype for Business teams in North America, with a Microsoft Certified Lync Master and over 42 years of combined experience in unified communications, collaboration, and telephony. Imaginet’s Skype for Business team has designed, deployed, and mentored organizations on Microsoft Skype for Business and have real world experience with this tool. We understand both the technical details of Skype for Business and the impact across all your teams and organization. Our consultants will ensure that best practices are tailored for your organization and incorporated as part of your Skype for Business roadmap and strategy. Learn the skills you need for your organization to assist you in making the Skype for Business and information architecture decisions possible. Our consultants can focus on those topics that are most relevant to your organization, team and solution rather than broad coverage of topics that may not be relevant. Imaginet is there to do the work and mentor, and your team is ensured that they get the expert guidance required to be successful. Are you thinking about rolling out Skype, but want to try it and evaluate it with no risk? See our additional Skype services. The Imaginet team provided us with a high level of confidence in their ability to deliver the technology and solutions our teams required. Imaginet delivered beyond our expectations. The positive results we received can be seen in our process, our tools and also heard, as voiced by our global user community. Located in Dallas (Irving), Winnipeg, and Calgary. Skype for Business services offered worldwide.